Soneri Bank Limited, one of Pakistan’s leading private commercial banks, and MasterCard, a leading technology company in the global payments industry, announced the launch of ‘World Debit Card and FalconPay’ services for the bank’s customers. ‘World Debit Card’ is one of the most prestigious offerings amongst the category of cards with numerous benefits. Ideal for those who travel worldwide, the card offers access to customers to VIP lounges internationally, complimentary services at world-class hotels, and accidental and health coverage, in addition to many other benefits. FalconPay (powered by MasterCard) is a mobile financial services platform provided by Inov8. 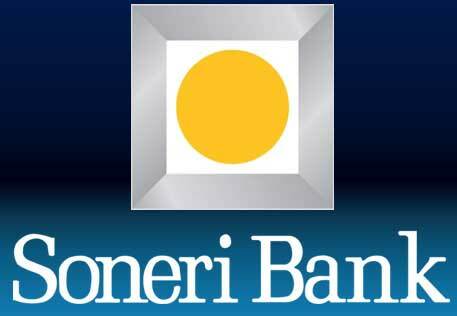 It will allow Soneri Bank to target new market segments within its mobile banking platform, while also creating accessible digital channels for the bank to leverage its conventional branch banking, by creating a distribution channel, which is more or less as effective as that of the other players of branchless banking. The occasion was graced by Yaseen Anwar, former governor of State Bank of Pakistan, Mohammad Aftab Manzoor, President and CEO, Soneri Bank Ltd, Amin Feerasta, Chief Operating Officer, Soneri Bank Ltd, Ahmed Saqib Asad, Chief Information Officer, Soneri Bank Ltd, Khalid Elgibali, Division President, Middle East and North Africa, MasterCard, Aurangzaib Khan, Area Head Pakistan & Afghanistan, MasterCard, Hasnain Sheikh, Chairman & Co-CEO, Inov8 Ltd, and others. Soneri Bank President and CEO Mohammad Aftab Manzoor said, “World Debit Card will provide consumers with a host of features and benefits. It is also equipped with the latest technology, to ensure safe and secure transactions.” He also added that signing the MOU for QR payments on the FalconPay platform would become the future of payments.